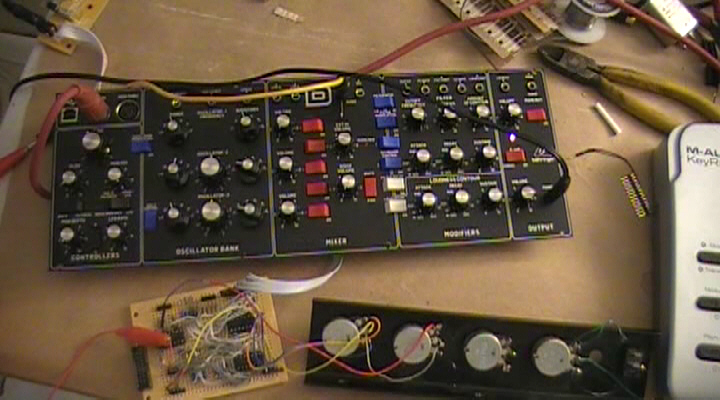 I started this site while I was doing the 3rd Annual Moog Circuit Bending Challenge . A long time ago in a far, far away place I used to do electronics as a hobby. Twenty three years ago when I moved to the USA, I stopped doing hardware and just continued doing software. This year, I have got interested in electronics again since my kids are now teenagers and can appreciate what electronics and programming are about. 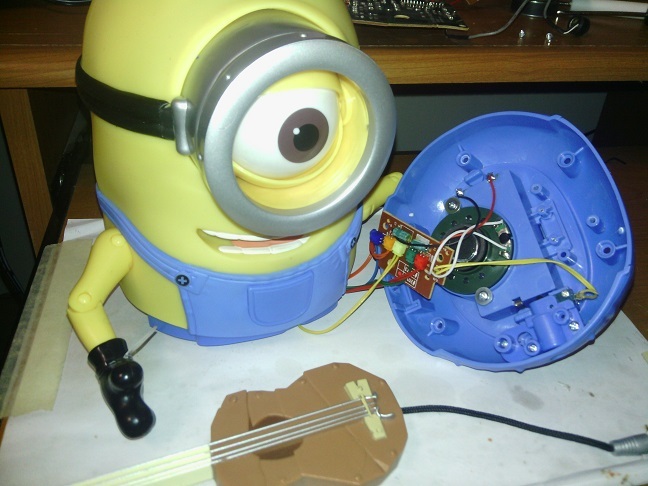 I was asked why I build controllers that mimic existing instruments such as the Cello, Accordian, Violin and Guitar projects. 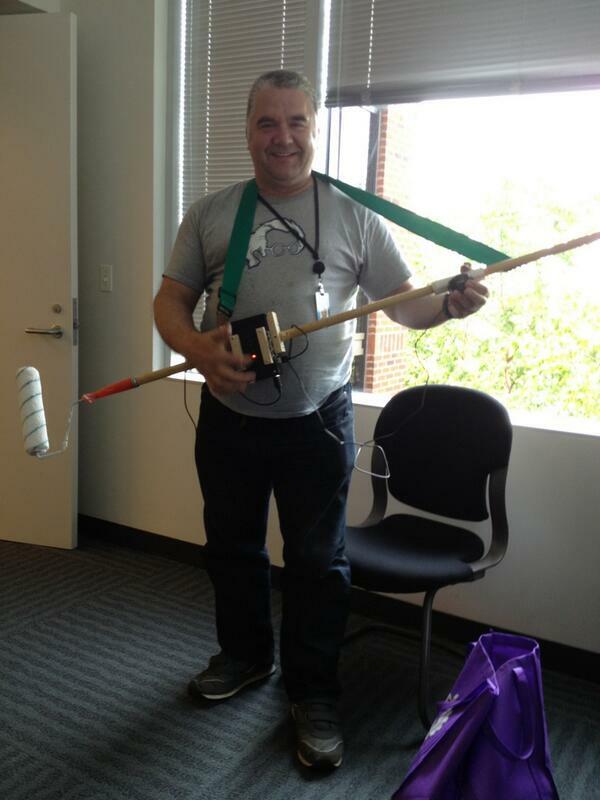 So with the Box of Mystery, I decided to make something that was not obviously mimicing an existing instrument. It has a central box and several plugin/on pieces and can be made into many forms. The box itself has six Infrared 'strings'. In the box is a mouse that is controlled by whatever stick you want to use with it. 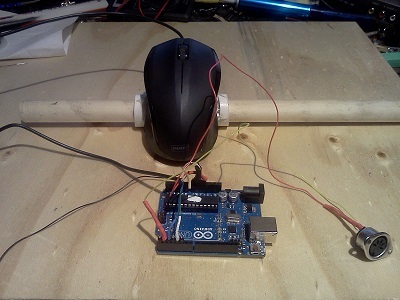 Using a PS/2 compatible mouse and an Arduino microcontroller you can build a simple Midi Controller. 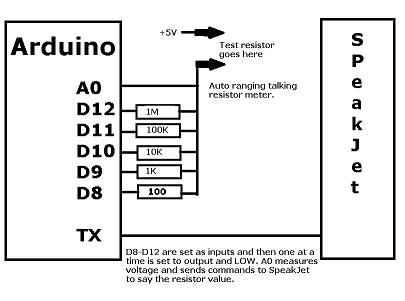 Recently I have added a simple RC filter so the microcontroller makes the sound. The X movement specifies the pitch and the Y movement is used to specify the timbre. 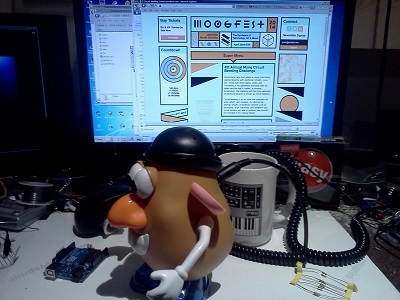 I started this site while I was doing the 3rd Annual Moog Circuit Bending Challenge . A long time ago in a far, far away place I used to do electronics as a hobby. Twenty years ago when I moved to the USA, I stopped doing hardware and just continued doing software. This year, I have got interested in electronics again since my kids are now teenagers and can appreciate what electronics and programming are about. Here is a video that the Google Play team made at the judging of the finalists. One day I saw this tweet! Moog Accordion. Have you thought about it? 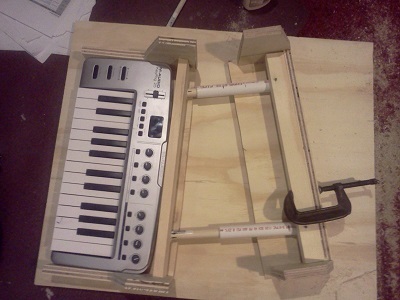 and it inspired me to start to make a Midi Accordian. Using bits of pipe and dowel left over from my Cello project, I made two pivoting sliders and use some chain to stop the two halves from moving too far apart. I took an old game controller apart and used one of the joysticks to sense the movement between the two halves. 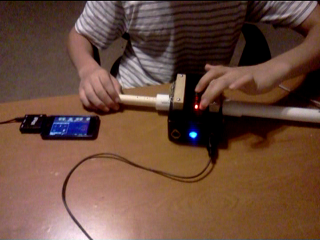 Midi Cello made using two optical mice and an Arduino UNO controller. 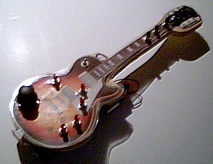 I made this project the week after I made the violin. 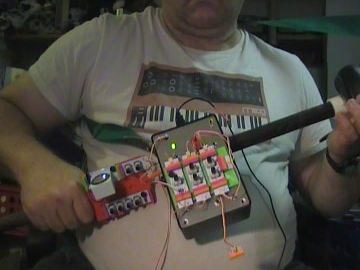 The violin project prototype has a few issues that I was able to fix in the Cello. The bow rest that keeps the bow in the sweet spot of the mouse camera, is made of a piece of square section dowel with the bow resting on one of the corners. The violin used a round dowel. 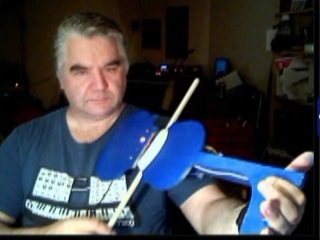 Midi Violin made using an optical mouse and an arduino controller. This was my first project using a PS2 Optical mouse. 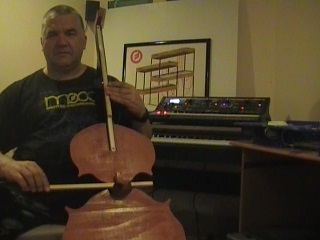 The hardware and software was improved when I made the Cello the week after. I will be rebuilding the violin using the improvements made in the Cello. On my way back from Moogfest 2012, I realized that I could modify my Bob Moog Google Doodle controller and make it control the Les Paul Google Doodle. This is the mark II version that has a midi output instead of being an add-on to the previous controller. Basically it is just 10 switches and a joystick connected to an Arduino micro controller. You can build the guitar for around $50 which is less than the cost of a video game! I recently bought a Moog Opus 3 on Ebay. 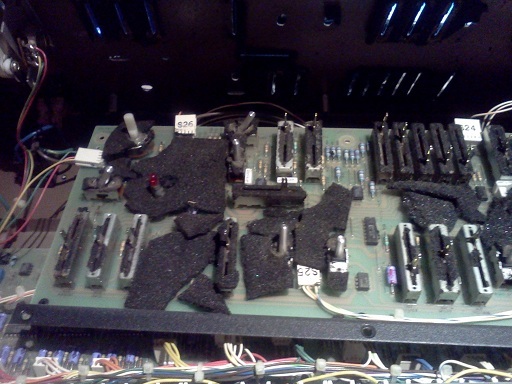 Having taken it apart I removed and cleaned the sliders and I am now thinking about how I may want top mod it. 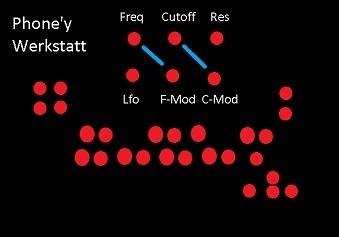 My initial thoughts are to add insert points for the VCF audio and control signals, Midi in and out. 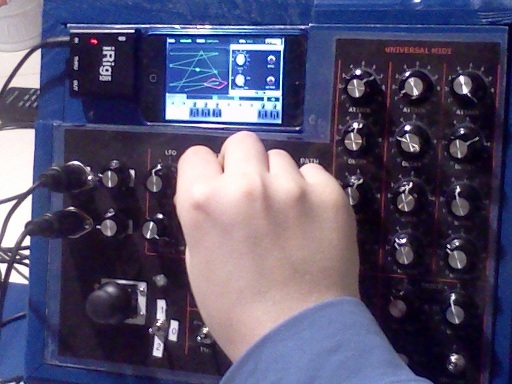 The Animoog for iPad, iPod and iPhone is a great tool. It has over 40 controls. 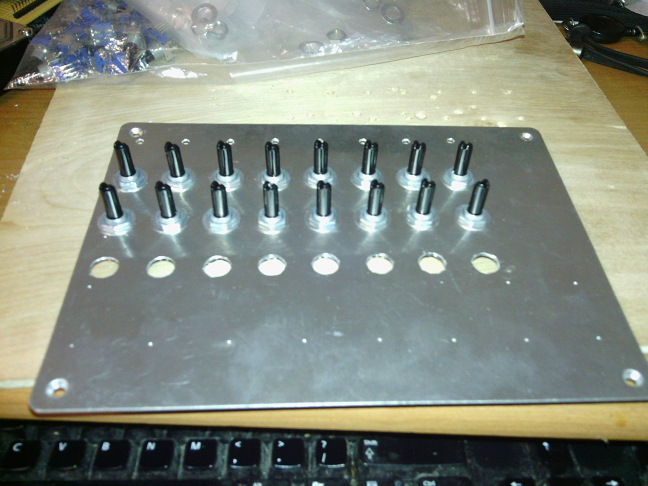 I built this midi controller so that you can adjust the controls in realtime without having to select different menus. 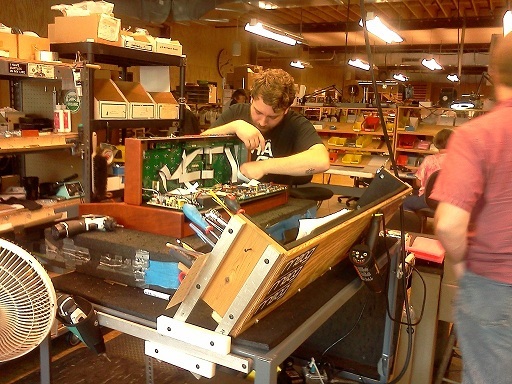 While at Moogfest 2012, the three Circuit Bending Finalists, myself and another circuit bending participant had a tour of the moog factory.